MonoVM Review 2019: Is MonoVM a Good Hosting? Lithuanian hosting provider MonoVM offers an extensive range of Linux and Windows hosting plans with R1Soft backups and a 99.99% uptime guarantee. Lithuanian-based MonoVM was launch in 2012 with three employees and two server locations. It has since grown to serve more than 60,000 worldwide customers with hosting solutions from more than 30 server locations. MonoVM has ten data centers in ten locations including Germany and the Netherlands. This provider’s sleek website is in English. MonoVM’s hosting solutions are limited to VPS hosting, shared hosting, and reseller hosting for Linux and Windows, although it does also do dedicated servers and domain registration. 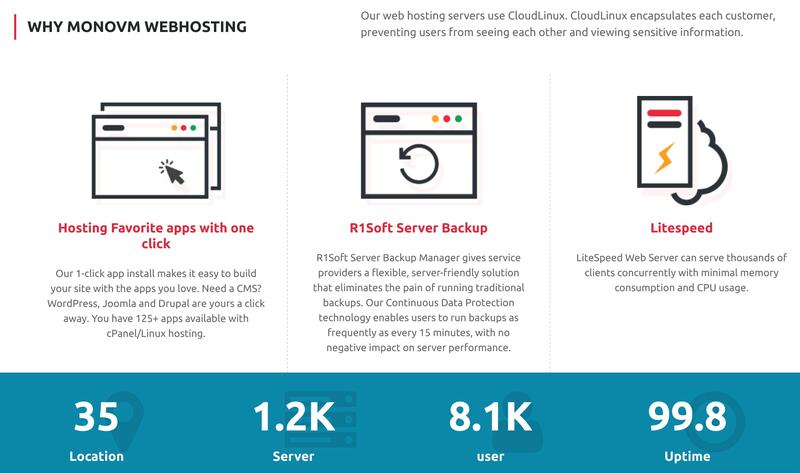 MonoVM uses CloudLinux servers to protect you from the effects of other shared hosting users, and by partnering with Litespeed, this host can handle more traffic with minimal memory consumption and higher performance. The use of SSD RAID 10 storage also contributes to higher performance. While I don’t like the lack of a beginner-friendly website builder, I do like the provision of the user-friendly cPanel/WHM, Plesk, and DirectAdmin control panels. cPanel includes a one-click installer that is particularly useful for installing WordPress, Joomla, Drupal, another CMS, or one of 125 additional applications. MonoVM also offers various Linux and Windows VPS hosting solutions with full SSH access, Windows Remote Desktop (where applicable), and SSD caching. The VPS services are supported by the VMware ESXi hypervisor, and – with full root access – you have complete control to install software and host your websites. Each of the shared and reseller hosting services is offered in Windows and Linux variants. All plans come with unlimited traffic and unlimited emails, but storage ranges from 100 MB to 5 GB depending on your subscription. I like the fact that MonoVM provides a plethora of payment methods including credit cards, PayPal, and cryptocurrencies such as Bitcoin. 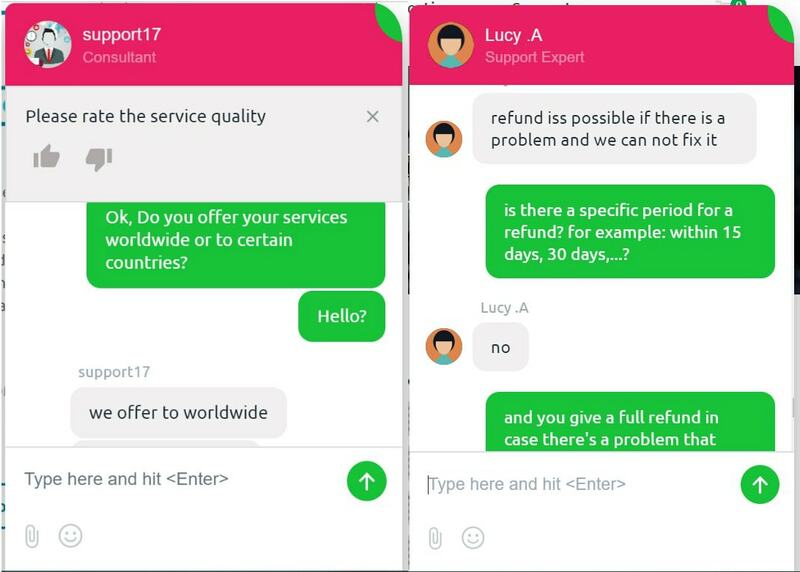 I don’t like the fact that there is no money-back guarantee, but support told me that I could get a refund if I faced any unfixable problems. In terms of customer support, you can contact this company via telephone, a ticketing system, and email, and you can support yourself by referring to the FAQ section and attractive knowledge base. MonoVM provides an extensive range of Linux and Windows hosting plans with R1Soft backups and a 99.99% uptime guarantee. Wondering how MonoVM stacks up against other Web Hosting companies? Enter any other Web Hosting company and we will give you a side-by-side comparison.